These punch-out, full-color food cards display life-like images of 200 foods. All five food groups are represented as well as combination and “sometimes” foods. 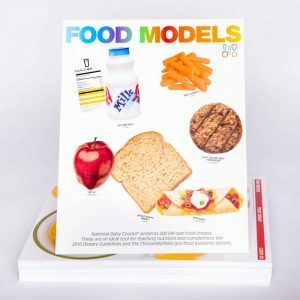 The portion sizes pictured and nutrition information on the back of each card align with the Dietary Guidelines for Americans and USDA’s MyPlate.